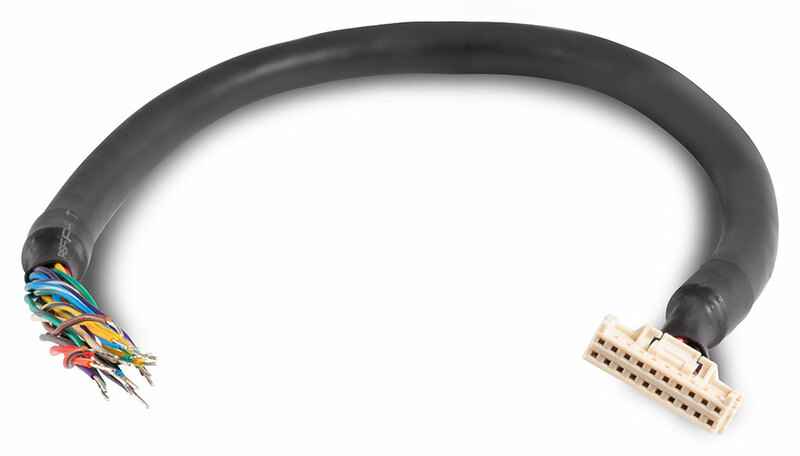 One end of this cable plugs directly into the I/O connector on the STF drive and the other end is flying leads for easy wiring to a terminal block or directly to a PLC or motion controller. This I/O cable provides access to I/O points: all eight digital inputs, all four digital outputs. See the downloads section of this page for a drawing of this cable that also contains the pin-out table and wire colors.